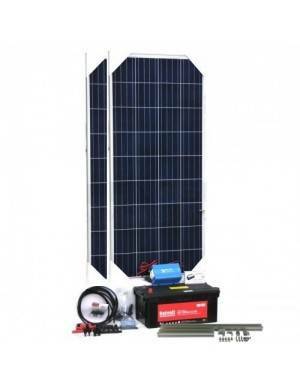 Kit for stand alone solar lighting at 12V. 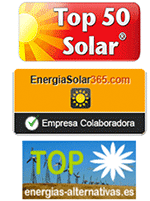 - A 10A EPSolar regulator. 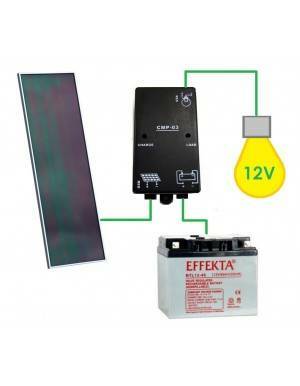 - A battery 110Ah 12V monoblock Power. 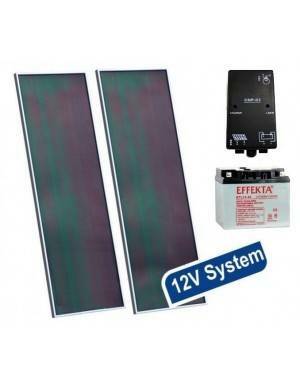 This kit is designed to power 12V loads, eg lighting in facilities and country homes. With the following kit can ensure a 6 hours average consumption of six 10W lighting points every day of the year, even in winter, in Spain. Multiplying the load available for 3 in summer and in more favorable areas of Spain.